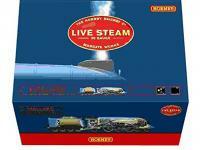 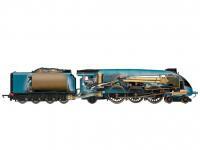 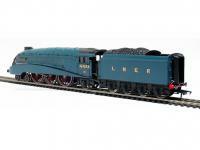 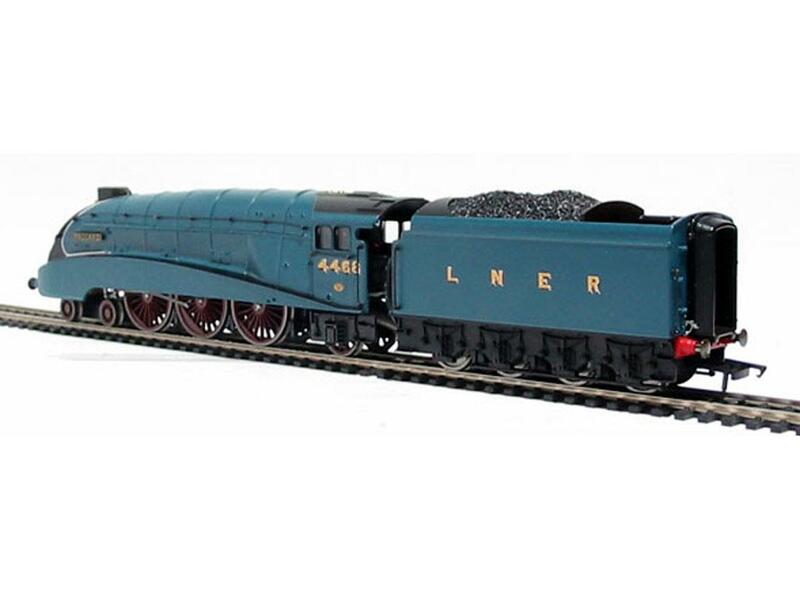 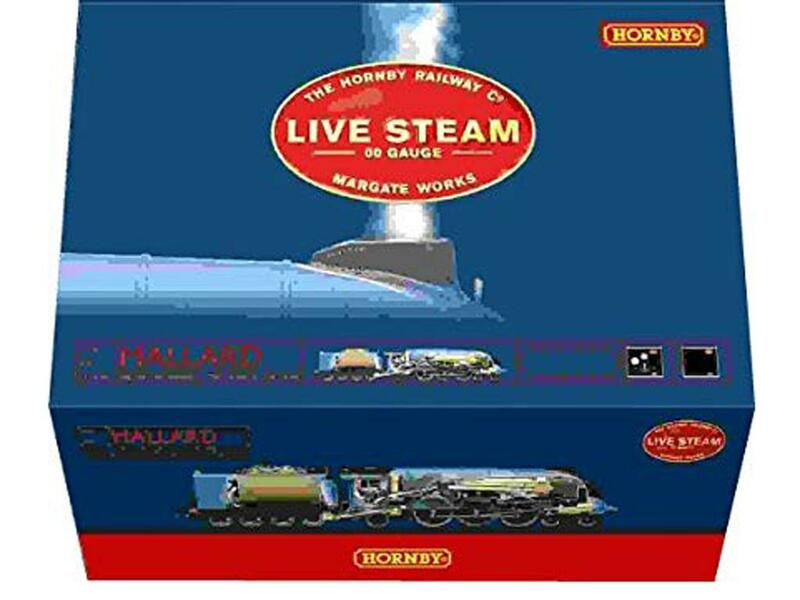 The LNER Locomotive A4 Mallard that in 1938 obtained the record of speed reaching the 202.8 Km/ h is the realization of Hornby after 35 years of design. 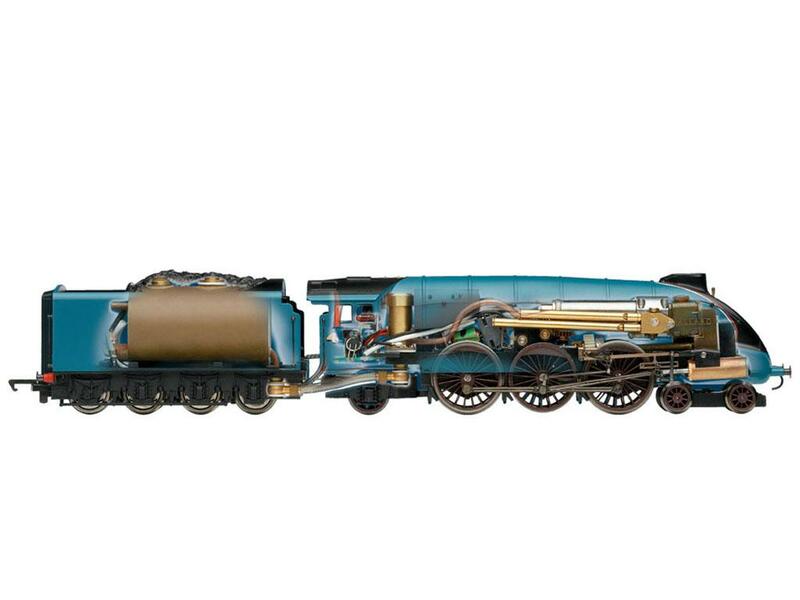 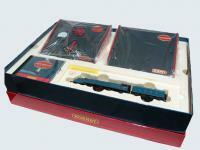 This Locomotive in HO scale is moved for live vapor and controlled from a desk of conduction incorporated in the pack, being able to through the via (CC) control the pressure of the vapor, the speed and the address. 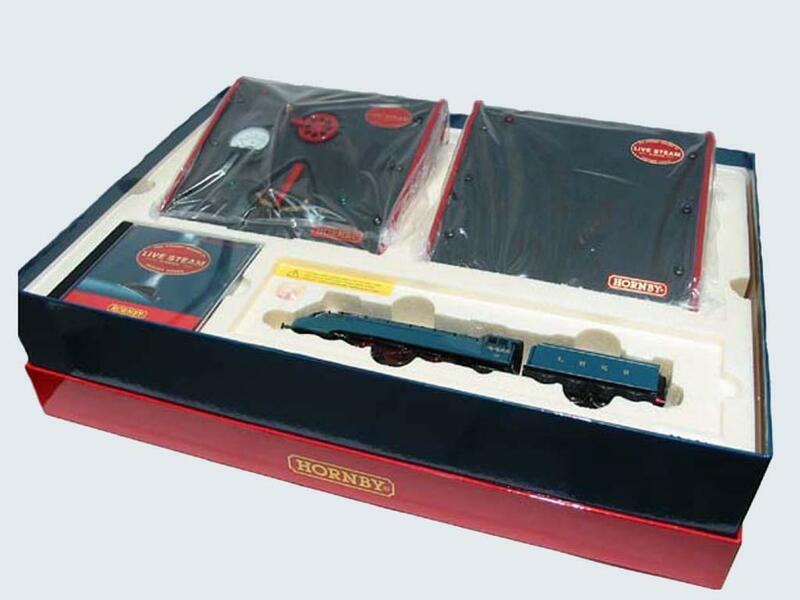 The pack includes the desks of control, a cd-rom with intrucciones] manual of instructions, tracts of road, and everything the necessary for the operation of the Locomotive.